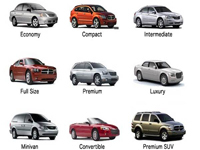 Transportation in Las Vegas is better than in many metropolitan cities in the United States. There are two bus services-the Deuce for up and down the Las Vegas Strip, and the CAT for access to the rest of the city-a monorail on the Strip, the trolley, taxi cab services, and of course, limousine service. 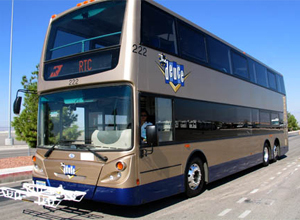 CAT, or the Citizens Area Transit bus service has forty-nine routes throughout the Las Vegas Valley and Henderson. These buses will transport visitor throughout the city to museums, schools, and just about everywhere else you want to go. The Deuce is part of the CAT system. 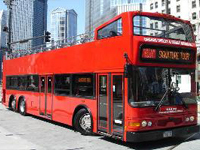 The Deuce is a series of double decker buses servicing Las Vegas Boulevard. There are two positions for patrons who use wheelchairs, as well as twenty-seven regular seats on the lower deck and fifty-three seats on the upper deck. 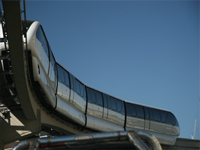 From the four miles along the Strip from the MGM Grand to the Sahara a state-of-the-art monorail connects seven casinos. The ride is safe and easy, and your feet might just thank you for giving them a break. The monorail runs from 7 a.m. to 2 a.m. Monday through Thursday, and from 7 a.m. to 3 a.m. Friday through Sunday. 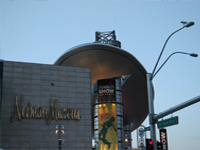 The Strip Trolley operates between Mandalay Bay and the Stratosphere, stops in front of the major Strip hotels as well as the Fashion Show Mall, Las Vegas Convention Center, and the Las Vegas Hilton. In addition, another trolley runs from Mandalay Bay to Las Vegas Outlet Center. That route includes a brief stop at the South Point Hotel & Casino. Taxi cabs are ubiquitous in Las Vegas, and they really stand out! If you see a car in front of you covered with ads for showgirls or a magic show, you’ll know immediately that you are looking at a taxi. Finally, there are limousine services. This is perhaps the glitziest way to get around; and therefore also the most expensive. But, if the situation is fitting, you can certainly get around in style.